Three bankers from Wegelin's Zurich branch face charges in connection with the case. Switzerland's oldest bank pleaded guilty on Thursday to helping wealthy Americans hide more than $1.2 billion from the Internal Revenue Service. The case marks the first time a foreign bank has been charged for aiding U.S. tax evasion. Switzerland's Wegelin & Co., founded in 1741, will pay $74 million after pleading guilty to conspiracy to evade taxes. The bank admitted to helping more than 100 U.S. taxpayers hide their assets between 2002 and 2011. "There is no excuse for wealthy Americans flouting their responsibilities as citizens of this great country to pay their taxes, and there is no excuse for foreign financial institutions helping them to do so," Manhattan U.S. Attorney Preet Bharara said in a statement. Three Wegelin bankers have also been charged for their alleged roles in the scheme. The men reside in Switzerland and remain at large. A spokeswoman for the U.S. attorney's office declined to comment on whether American authorities are seeking their extradition. 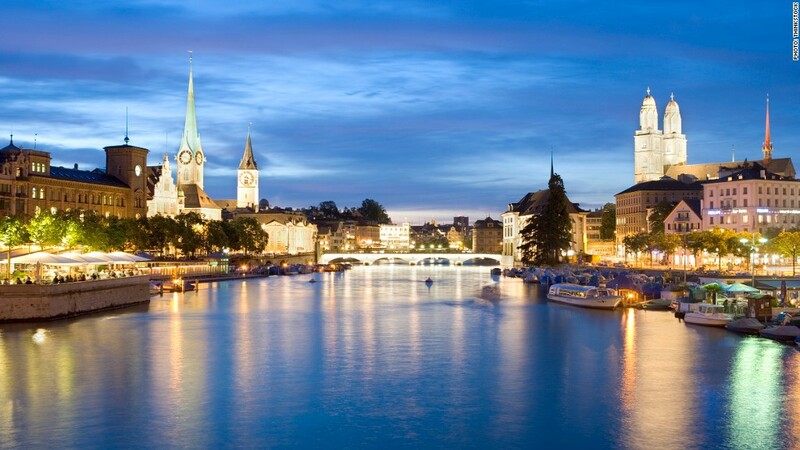 In 2009, the U.S. government settled a tax evasion case involving American customers with Swiss banking giant UBS (UBS) that proved diplomatically challenging due to Switzerland's strict bank secrecy laws. UBS ultimately paid $780 million in fines and restitution and agreed to hand over the identities of a number of its U.S. customers. Bharara said that as UBS and other Swiss banks stopped handling undeclared U.S. accounts in 2008 and 2009 amid scrutiny from American authorities, Wegelin moved "willfully and aggressively" to scoop up their business. Wegelin said Thursday that it will cease operations once the case is formally concluded. The majority of its clients and staff have been absorbed by Notenstein Private Bank, a subsidiary of Raiffeisen Switzerland. "Since learning that it was under U.S. investigation, Wegelin cooperated with the investigation within the bounds allowed for by Swiss law," Wegelin said in a statement. A Wegelin spokeswoman declined to comment on the case of the three men facing charges.